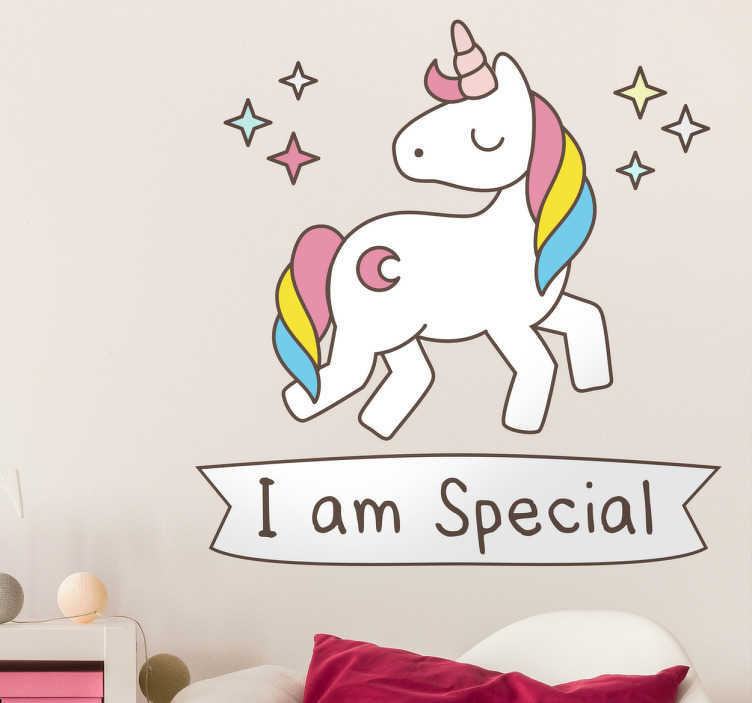 Wall Sticker of a sparkling unicorn with the message I am special written underneath. The unicorn has a pink, yellow, blue mane and a beautiful light pink horn. This magical animal has a moon tattoo on its body. A beautiful and sweet sticker for young and old. The removable wall sticker will look nice in your children's room, living room, bedroom, or a school.